The Corsi complaint was filed by the founder of Freedom Watch and Clinton nemesis, Larry Klayman, Esq. Said complaint asks the Justice Department to initiate a criminal and ethics investigation on the actions of Robert Swan Mueller, III, Esq. and the Democrat donor investigators on his team. 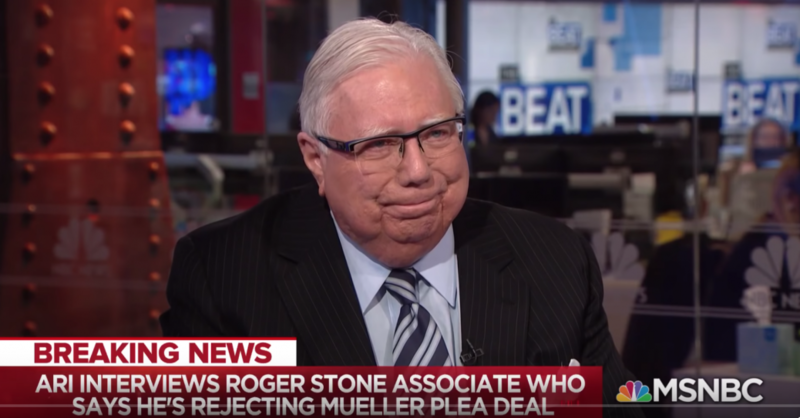 Corsi announced recently he would not make a plea agreement with Mueller, pleading guilty to one count of perjury. “They can put me in prison the rest of my life. I am not going to sign a lie,” says he. Mueller has to prove his case in court and the record shows Mueller to be a dud in court and Corsi is no dummy. In the complaint, Corsi denies having prior knowledge of Wiki-Leaks plans to release emails by Clinton campaign officials. “Employing his professional skills and considerable experience as an analyst and investigative journalist, Dr. Corsi predicted WikiLeaks would release Podesta’s emails soon in a “data dump” from the DNC emails tranche stolen on July 5, 2016,” per the complaint. Dr. Corsi is simply a man who knows how these things go and clearly Robert Swan Mueller III is a man who has not been paying attention. In his first case as a Federal Prosecutor in San Francisco, B. S. Mueller III prosecuted Hells Angels drug runners in a 1979 “slam-dunk” case indicting 18, but he lost 13 cases due to defective preparation. All five of the convictions were overturned on the first appeal. 11 were re-tried by Mueller’s replacement prosecutor with all ending in mistrial so badly had Mueller fumbled the evidence. Then he hired Boston mob boss Whitey Bulger as an informant on the Boston Mafia families as it has long been FBI practice to employ mobsters. FBI Associate John Connolly had to cover up horrific crimes committed by Bulger’s mob including a case in which Mueller charged four innocent men, convicting them for murder on false evidence and sent them to prison for 40 years! Two died in a few years, likely murdered, in prison. All convicted were exonerated. The families got $101 million for false imprisonment. Mueller was found to have suppressed exculpatory evidence, replacing it with fake evidence, but he was never held responsible so corrupt was, and is today, our Federal Justice Department. Klayman also filed the complaint with the Office of Disciplinary Counsel in Washington, D.C., asking the body to probe the Special Counsel for breaches in professional responsibility under the DC Bar Association’s canons. “In filing this Complaint, my client is not only standing up for his own legal and Constitutional rights, but also those of the American people. 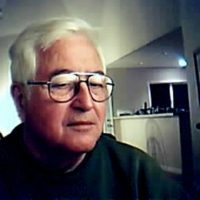 This rogue government tyranny perpetrated by a Special Counsel and his prosecutorial staff, which is designed to effectively overthrow a duly elected President by coercing and extorting false testimony from Dr. Corsi and others, cannot be permitted in a civilized representative republic, incorrectly referred to as “our democracy,” America is not a “democracy.” We are a constitutional republic or trying to be. Robert Swan Mueller is an arrogant, high-born stumbler Swampster of the kind useful to the network of bureaucrat executives that believe they are entitled to run America as they wish. They are more permanent than the elected people and believe they know better how things should be done as well as get more of the spoils they know the elected people are stealing and taking as pay-offs to offshore number accounts. Dr. Jerome Corsi has long figured this out and may have enough real dirt on Robert Swan Mueller III to put him away for the rest of his life.